All students who complete a course of 10 lessons or more with Galway Driving School will qualify for 1 year introductory discount and up to 20% off their first car insurance premium with First Ireland Insurance. Call for more details. 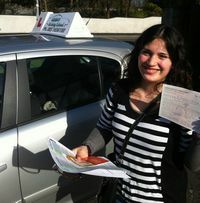 Try before you buy with our above prepaid package, Unique to Galway Driving School ! just pay for the first lesson (€40) and if your happy with the lesson pay the balance of your package on the next lesson. Value for money is very important. All lessons are given to a high standard with a RSA qualified Instructor. Call 085 1656 100 to book your lesson today. Our cancellation policy is twelve hours prior to the start time of the lesson. Any callellation within this time will be charged for the lesson as we are unable to reallocate this time.